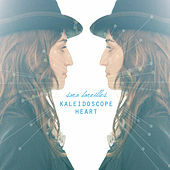 The kind of thoughtful, introspective coffee-shop pop Sara Bareilles made her name with has always been a particularly rich medium for themes of heartbreak, but the talented singer-songwriter's second album is positively riddled with the breakup blues. Her angst is couched, however, in an array of adult-alt tricks and tactics: a jaunty, vintage vibe on "Gonna Get Over You;" hushed, Grey's Anatomy-ready drama on "The Light;" girl-group pops and coos on "Say You're Sorry"; circusy sass on "King of Anything." The line between pain and pleasure has never been so fine.